Senior Wellness Fair celebrates healthy aging, living longer and growing stronger - Grace Ridge Retirement Community - Morganton, N.C.
Not only does September signal the beginning of the fall season, it’s also a time to focus on healthy aging. 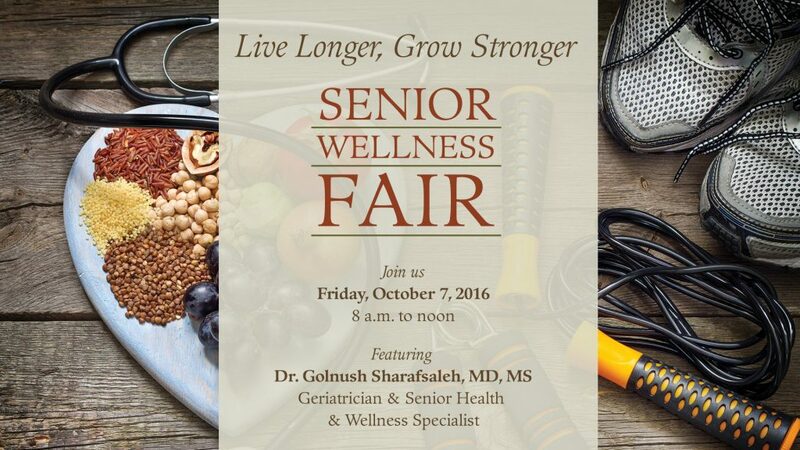 If you want to find a one-stop shop for all your health, happiness and wellness needs, there’s no need to look further than the Live Longer, Grow Stronger Senior Wellness Fair at Grace Ridge. As a continued celebration of Healthy Aging Month, we’re hosting the second annual Good Moods event on Friday, Oct. 7, as a chance for seniors to explore techniques, strategies and tips for aging well. “By bringing together our community’s happiness, health and wellness specialists, Grace Ridge is celebrating seniors and helping them build healthier habits to thrive and stay active,” said Brenda Yost, executive director. Complimentary health screenings, including cholesterol, respiratory, hearing, blood pressure, osteoporosis and diabetes. Be sure to pre-register by Oct. 5. Flu shots in our rooftop solarium with magnificent mountain views. Don’t forget to bring your Medicare Part B card, medical insurance card or other form of payment. Presentation on the unique needs of older adults and a chance to meet Dr. Golnush Sharafsaleh, MD, MS, a specially trained geriatrician with Carolinas HealthCare Systems – Blue Ridge. Demonstration highlighting Tai Chi for Arthritis and Fall Prevention (Sept. 22 is Falls Prevention Awareness Day). Nutritional information and recipes from the culinary team. Tasty samples and a presentation on the benefits of dark chocolate. Balance and senior fitness testing by Phifer Wellness Center staff. Soothing sounds and relaxing chair massages in our state-of-the-art theatre. The Live Longer, Grow Stronger Senior Wellness Fair is co-sponsored by Carolinas HealthCare System Healthy@Home and Carolinas HealthCare System Blue Ridge. This Good Moods event is open to seniors age 60-plus and will be held from 8 a.m. to noon at Grace Ridge Retirement Community. If you’d like to attend, call (828) 580-8402 or register online.